“We are…the ruthless blood of ancestors” (19). 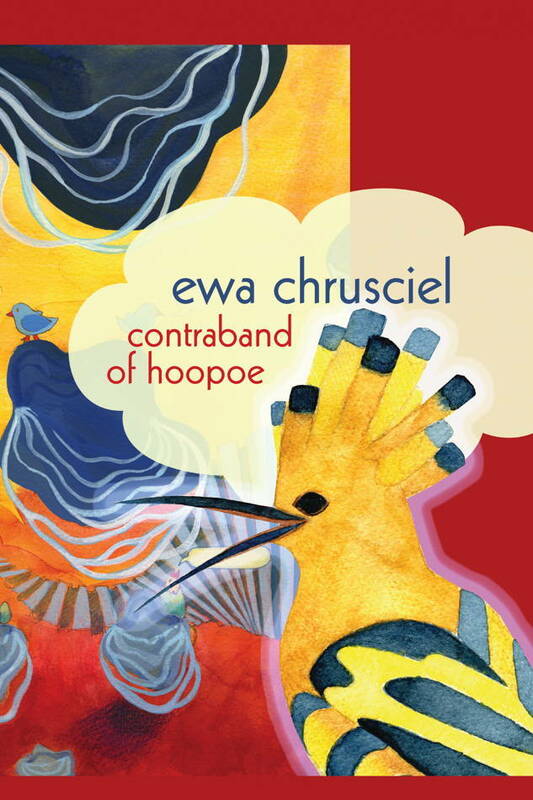 Imbued with the aching linage of immigrants, Ewa Chrusciel’s contraband of hoopoe is as astonishing as it is honest. Chrusciel’s bright plumage of language builds an ever-displaced nest for her readers in what manifests as pastoral of the relocated other. “Smuggling is translation…It is—for those who are unable to let go—nesting in two places at once…Both translation and smuggling come from longing for presence. From a loss. They speak of insufficiency of one life, one language.” (55). The emblematic bird melees with clipped wings against her cultural erasure. Neither blending nor allowed to be. Moments of directness juxtapose with symbolic animal imagery, tethering the treatment of immigrants in the west to that of something less than human and to a clear system, which enforces such practices. The ugliness glossed over in American history becomes fully exposed in the radiance of Chrusciel’s prose. The poems enact this division with the juxtaposition between the direct and indirect, the rapid transitions between animal poems and immigrant poems that take two contrasting approaches on the same subject. “Smuggling” never disappears for long in the text. The narrator deliberates [about] metaphorically “smuggling” her mother’s heirlooms back into the United States. She knows that keeping or bringing things from her homeland is punishable by law, and implicates any form of dissent from Americanization and cultural assimilation an act of treason charged by these new surroundings. The relocated are suspect merely by existing, trapped as other in a strange land. itself by healthy digestion? This is where we beheld the system” (16). Here, we see traces of the implemented literary tests after the Immigration Act of 1917 meant to exclude immigrants on their ability to convert to the conquerors language. This poem enacts the disability of such people to perform in foreign tongue as well as the squelching of diversity encountered at western borders. The author’s direct confrontation with human experience, a range of animals, trees, and prayers follow us from poem to poem, embodying dislocation in this tyrannical landscape. Chrusciel invokes the great flood myth of Noah’s Ark, a myth existing across nearly every culture in one form or another but only recognized in the west via the bible. hold of your blueness. You are the incarnation of the sky…” (30). Noah is simultaneously savior and oppressor. In the poem, he takes it upon himself to save the booby, which has no desire for rescue, forcing it into the post-flood world now dictated by Noah and God. He embodies the insidious western, Christian colonization virusing its way across humanity. Noah’s prayers later develop into fins, allowing him mobility through this new domain where the animals become fixed. No hierarchy of the soul exists but we witness a crafted system of inequality implemented by individuals with disproportionate power. Life dwells not only within animals, but trees, and other parts of nature in the text, ascribing to pre-colonized religions. Chrusciel creates a totem pole, always honoring the ancestors, always championing equity, and revealing a naturalized system. rats. They have acquired the wrong reputation. They coo their litanies. There is something akin to the oral tradition of the American slaves running through the book. Perhaps to remind us the law once protected that slavery, and likewise, immigration laws continue to subjugate the other, the non-conformist, and the diverse, stifling languages and deviant voices. Chrusciel reminds us that we are still being internally colonized. “But the hoopoe tarried not far: he compassed (territory) which thou has not compassed …” Quran 27:22. We can interpret this in contraband of hoopoe as the internal, the soul, a territory that can never be subdued, though many will try. Despite the overwhelming assault of limitation, Chrusciel leaves us with this hope of inward mobility. “The most fantastical truths can be smuggled only through the windy labyrinths of our body’s cavity” (19). That is that, when the body cannot travel, it is the soul that must fly. contraband of hoopoe can be found on Omnidawn’s website.